After running out of ideas for this blog, I decided to do a review on Hikari Sentai Maskman. Maskman is one of those classic late 80s series in the long run of Hirohisa Soda's era as a head writer together with Takeyuki Suzuki as the head producer. The series' theme was basically having martial artists as the heroes. Takeru (an F1 Racer) is a karate champion, Kenta (a guy who's easily smitten by any cute girl) specializes in kubodo, Akira (the youngest in the group and devoted son to his mother) uses Chinese boxing and he is a straight sword expert, Haruka came from a family of ninjas which explains why she uses ninjutsu, and Momoko is a tai-chi-chuan expert with a soft spot for children (most pinks in Super Sentai and Power Rangers tend to have that trait). Each one of them have their struggles like Takeru is motivated in this series to find his missing lover Mio, who unknown to him for a certain portion of the series is the Princess Ial herself. The other Maskmen also develop in their own way as they discover more of what life is. Prior to Tube's invasion, Professor Sanjoru Sugata gathered the five warriors as he was ready for that invasion. The five warriors were first gathered but they were told that they must unleash that Aura Power. Aura Power as stated in the series is lured out from intense training. Each one of them has their assigned hand gestures namely zai (index finger and thumb together with open hands) for Takeru, jin (all fingers laced into a fist) for Kenta, retsu (two fists together with index finger from left hand sticking out), tou (all fingers together except ring and pinky) for Haruka and sha (all fingers together in a fist except index fingers) for Momoko. Zai represents control over natural forces, jin represents guessing others' thoughts and intentions, retsu represents dominion over time and space, tou represents universal harmony and sha represents self-healing. Backtrack, if you were a 90s kid, you might also remember some of the dub names. Takeru was Michael Joe, Kenta was Leonard, Akira was Adrian, Haruka was Eloisa and Momoko was Mary Rose. I always thought that was their real names until I started to learn more about the term Super Sentai, what it was as a genre. As a result, I soon learned what the real names of the Maskmen were. I always felt that changing their names to non-Japanese names was quite unnecessary. Fortunately, Jetman kept the Japanese names of the rangers in spite of some inaccuracies in the dubbing. I was more fortunate to later see Maskman fansubs from Grown Ups In Spandex and getting to enjoy the show at its full value. The Underground Empire Tube was once a peaceful kingdom until one day, Emperor Zeba usurped the throne and corrupted it into a despotic kingdom where strength rules all. Among its members were servants of the old peace-loving Igam kingdom who now follow the de-facto ruler for some reason. While the Maskmen represented the forces of light, the now corrupted Tube represents the dark forces that they oppose. The Dark Energy which they use is in opposition to the Aura Power that Maskman wields against them. Early on, Emperor Zeba releases the Dark Holon which was dispersed when the Maskmen finally unleashed the Aura Power from within their bodies. The love story of Princess Ial and the main hero Takeru starts out at the beginning. Takeru is unaware that Mio is Ial and why the Tube was after her. The viewers get to learn about Ial's identity before the Maskmen do. Some things were too predictable like Prince Igam was really a princess though if the credits didn't spill it out, you might confuse her for man. Due to Princess Ial's forbidden romance with Takeru, "Prince" Igam is determined to avenge her family honor while hiding her true identity from the others. Takeru would later learn of of why Igam has that much of an intense hatred for him as the series goes through. This displays a bigger dilemma of how Takeru can cope up as soon as he discovers who Mio is and that is actually Princess Ial. Some obvious similaries of the Soda/Takeyuki writer/producer tandem era with some of the show's villains. Granted, I haven't seen much of Soda's era to comment but I have at least read from some fansites. Curiosities Beast Anagbas the monster is clearly in the line of creature-feature like Gator in Changeman and succeeded Dongoros in Fiveman. Fuumin would obviously be similar to Farrah Cat in Bioman, Ley Nefel in Flashman and succeeded by Zaza in Fiveman. Baraba would be your field commander like Mason in Bioman, Buuba in Changeman and Ley Wanda in Flashman. For Oyobur, I can't really give much of a comparison except his relationship with Baraba might be compared to the duo in Flashman with the space hunters Sir Kaura and his partner Bo Gardan. Added to the list of these Kiros who plays as the neutrally aligned villain, a real menace to the Maskmen who serves as Takeru's other rival. Kiros is rivals with Takeru because he lusts after Princess Ial which is opposed by Takeru's genuine love for Ial. The entire series was laced with the mystery of Emperor Zeba's inhuman identity. Various clues start to spring suggesting that the main antagonist is not human. Some of the history of the Igam family is slowly put together like Prince Igam's true background that she was raised to be a man because of the absence of male heirs but deep within, she knew she was a woman. As the clues start to be put together, one can see the unraveling mysteries start to reveal Emperor Zeba's secret origins, the secrets of the Igam family even reveal stuff that the audience didn't know about and how the whole series has the light expelling the darkness. As a child who first saw Bioman as his first Super Sentai, I didn't immediately take a liking to Maskman during the time it aired was due to its more serious atmosphere and execution. Even after I grew up to be an adult, I still feel this series has been more serious than my favorite Super Sentai series Chojin Sentai Jetman. The series felt "new" to me but the more I watched it, the more I felt like that the series had a lot to offer. As I grew up, I felt this series had become a classic to my eyes. I really feel bad how at times, this series tends to feel underappreciated because of the more serious nature of the series. In-between Maskman and my becoming an adult, I still could not forget the time I took my virtual trip to what I'd dub as Super Sentai Wonderland on the Internet. It was that time I discovered a lot of Super Sentai that I didn't know off during the pre-Zyuranger era. I soon discovered more about how Super Sentai robots evolved, how Maskman was the first show to have a five piece combining robot and Flashman was the first show to introduce a secondary robot, Dynaman first introduced the underground enemies concept, it was that time I learned of the names of the people behind Super Sentai like Toshiki Inoue and Hirohisa Soda. What proves I'm not a big fan of Super Sentai is also how I had to watch Akibaranger before I recognized the great Kazuo Niibori, the legendary red ranger stuntman. I even think that this Super Sentai series may have also been responsible for spawning more concepts using Aura Power. After I read about the post-Jetman era up to Timeranger, I also managed to learn about Dairanger (which didn't surprise me that the white ranger, Kou, was a child because I saw Power Rangers Turbo prior to that) which also was martial arts themed. 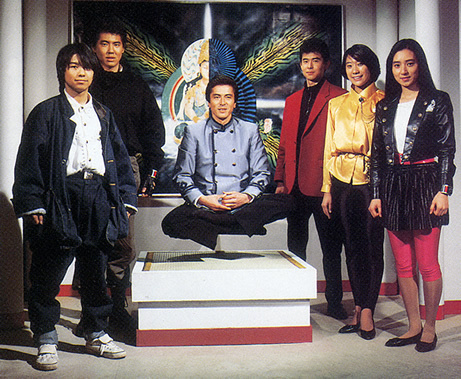 For post-Timeranger, it may have also inspired Gekiranger another martial arts Super Sentai. As for Shinkenger, I wonder if naming Shinken Red as Takeru was ever intentional or just coincidental plus the show still introduces Mojikara (Character Power) as something similar yet different to Aura Power. But even with Takeyuki Suzuki no longer involved as a head producer, the influence from Goggle V up to Ohranger still remained in future Super Sentai seasons in the midst of Super Sentai's innovation like toning down violence and multiple gattai. 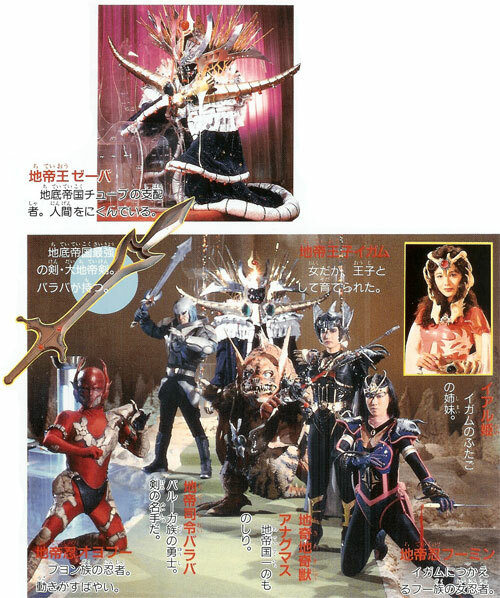 While I can enjoy the innovative concepts of newer Super Sentai, I always felt that whenever I remember this series, there's some things that I miss. 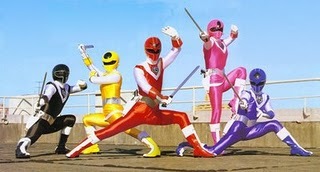 These stuff are namely better levels of acting, more daring stunts (which in turn made post-Timeranger characters not to be as good as the Maskman cast), more likable characters and focus on writing a good story over introducing more power-ups which tend to disrupt the plot of the series. I could always look at this series as a cherished memory as a one of a kind masterpiece that I recommend for both older fans and newer fans who are yet to see the series. Cool, I didn't read all this post cause it's too long,but Maskman is definitely on my radar of older Snetai to watch in the near future( I plan on watching every season that's been fully subbed,anyway). I like the combination of mystic energy and tech, and that Image of the Buddah has half-robot that shows up when they use their powers looks really cool. And there is a scene where the robot mediates,which also looks cool. "The series' theme was basically martial arts as the heroes"
Don't you mean "martial artists" as the heroes? The name change actually came in a time (80's-early 90's) when localization was still the norm, to make it more relatable to the local audience, so as they say. Maskman was actually locally notable for a lot of things. First, it was the only toku show that has a Filipinized theme song (not a direct translation of the original, but more like they created Filipino lyrics for the music). There were supposed to be Filipinized theme songs for the other toku shows (Bioman and Shaider in particular) but for some reason, they were never used. It is also notable as one of Kim Atienza's earliest dubbing works where he played Takeru/Michael Joe. One thing that I really like about the series (aside from its more serious story) up until new is that it has one of the best model/robot sequence work of the pre-CGI sentais (or oven when compared to newer series). Eps 1-3 are the best examples. with the dynamic movements of the Masskman machines making them look more like actual planes and tanks than just props/models, something w to replicate (which was disappointing since the Jet machines were supposed to fighter planes.). The whole Galaxy Robot/Great Five retrieval arc is also notable in that it actually made the Land Galxy look like an actual massive machine with all those closeups. Since it was very popular with the local audience, I was imagining it to be a good pick for a local remake during the remake wave in the early 2000's. But, considering the mess that was GMA's Zaido, it was good that no one decided to do a local Maskman remake.